I'm gonna master all kinds of kung-fu. // I'm gonna live inside a tiny zoo. // I'm gonna grow myself a giant Afro, // when the alarm goes off I just won't know. It was late one night a little while ago, // I had nothing to drink, I don't think, // okay, well maybe a glass of wine // but nothing that would loosen my mind // to the point of seeing what I'm seeing in the sky. // Woah an alien being! Feel like a muppet with a drunken puppeteer // But I'll survive. and song titles like "U.F.O." and "People Should Smile More" and "Sitar-y Thing — Interlude," you know you're in for a fun and unexpected ride. Faulkner's lyrics have a clarity to them that I haven't found in many other musicians. He presents the realities of life with perfect metaphors, capturing the moments that we all experience and putting them to music. "Gone in the Morning" was featured in the film Morning Glory, if you're wondering where you know it from. Bonus: Check out his single, "Write It On Your Skin," which is one of my favorites. 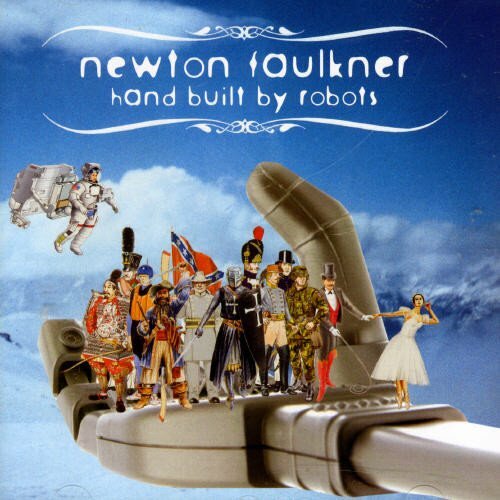 Have you heard of Newton Faulkner?